I wish for you a 2017 of good health, peace and love. A new year of creativity and pleasant travels (why not?). Yesterday, I was walking with my husband and some friends near the main Ortigia’s square, in Siracusa city center. And suddenly we saw this wonderful colored tree shown in a big saloon where a paintings exhibition was held. I couldn’t stop myself and I started taking lots of pictures of this great piece of creativity. 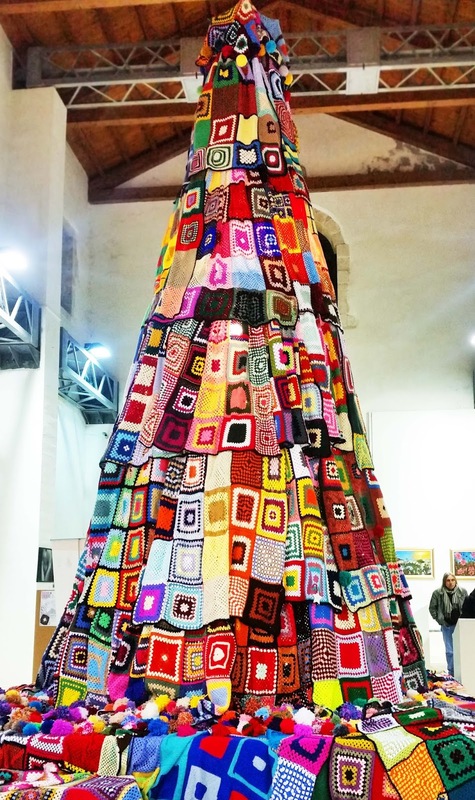 Then I learnt that this 8 meters wool tree was part of a charity initiative in the context of the "Siracusa educativa paths” project: it is made up of more than 100 granny squares blankets, crocheted and assembled for free by people from several institutes, like eg: schools, municipal nurseries, elderly care associations, immigrants detention centers. 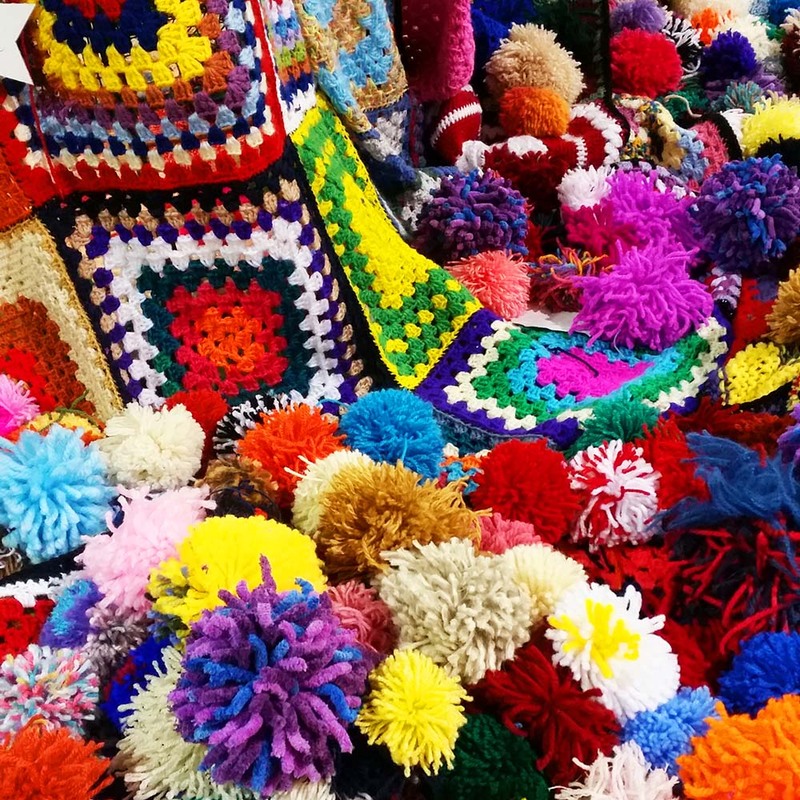 All together to rediscover our ancient traditions and arts, but mostly for a good and important purpose: to sell all the blankets at the end of Christmas time and donate the proceeds in behalf of poor families. we shouldn’t forget about people who need help. May we take the right path to follow our dreams..
Beh, ti auguro un buon anno nuovo e pieno di arte e calore, proprio come quello che si sente in tutti i lavori che realizzi. L'albero si trova in un salone accanto alla chiesa di Santa Lucia la Badia. Rimarrà fino a domani 8 gennaio e poi sarà disfatto per vendere le coperte. E` bellissimo e colorato. Se fossi stata a Siracusa, avrei contribuito anche io a realizzare le coperte. Speriamo che riescano a venderle e che quest'anno sia buono per tutti! Well this is an amazing project! Hopefully they accomplish the set goal! Hi Maya, welcome! You're right: The blankets are really beautiful. I saw lots of them had been already reserved. So I think the charity associations will surely accomplish their goal. Thanks for visiting! Have a nice weekend! Ciao Doria, grazie per essere passata! Decisamente bello, vero? Nemmeno io avevo mai visto un albero di Natale addobbato così. Un'idea originalissima. Che spettacolo! Un tripudio di colore, creatività, collaborazione e solidarietà; un perfetto compendio dello spirito natalizio... e non solo. Grazie Dany per la visita! È vero: una bellissima iniziativa sotto tutti i punti d vista. Se fossi stata in loco, avrei contribuito anch'io. uh che meraviglia!!! sarebbe fantastico cimentarsi a ricrearlo magari con delle stoffe riciclate da casa :) un bellissimo spunto creativo grazie! Questa potrebbe essere una grande idea! Ciao! Bellissima e originale come idea!! Ciao Lulù, ti ringrazio per essere passata e per i complimenti. A presto! Amazing! I do love granny squares. Especially for a good cause. Me too! 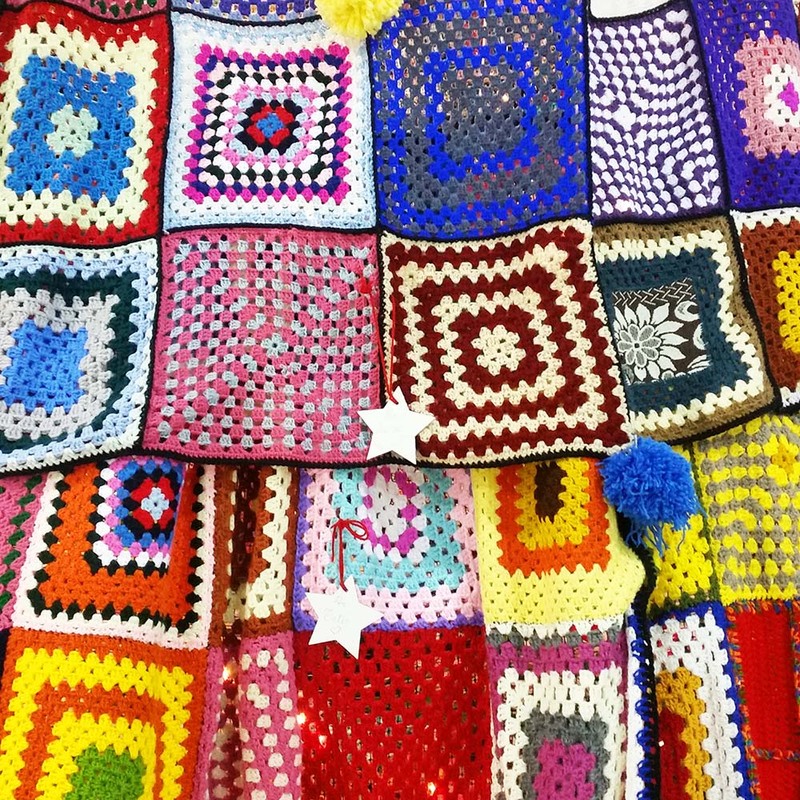 These ones were so beautiful and coloured, perfect for warm blankets!